Manager-entered Time Off can immediately unassign the employee from any overlapping shifts and sets those shifts to be unassigned (and notices can immediately go out to those who are able to work that shift if you like). When an employee requests a Time Off and the manager approves it, the employee also can be unassigned from any overlapping shifts. Time Off can be added to unpublished or published weeks as far into the future as you like. 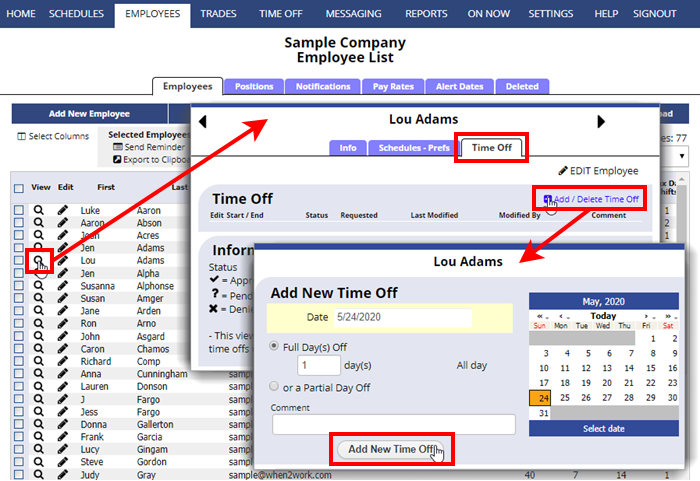 Managers with permission can also enter Time Off for the employee using the Time Off section or, more quickly, by clicking the corresponding cell for the employee and day you want on the By Employee Schedule View. 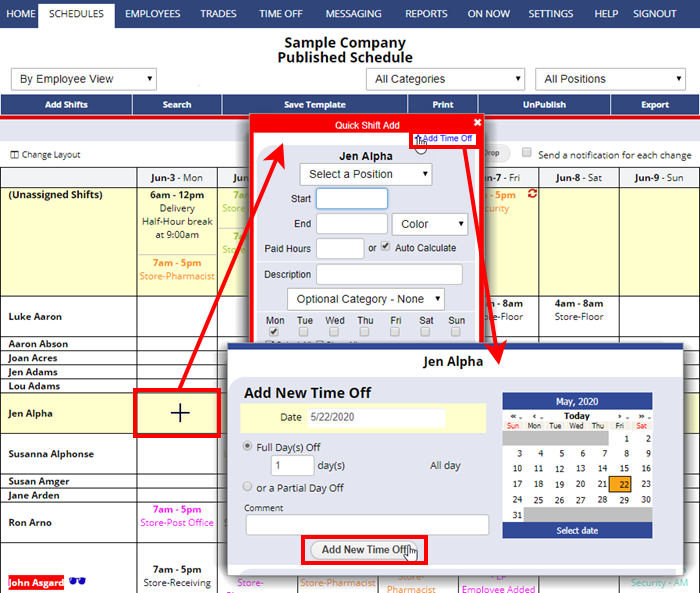 In the Time Off calendar, you may see some dates highlighted as blocked for employees to request time off. Pink highlight means some Positions are blocked, red highlight means all Positions are blocked. As a manager you can add a time off even for a blocked date by clicking “Yes” to continue when warned. Click the date on the calendar for the date you want (if you have problems viewing the calendar, you can enter a date manually using the following format: mm/dd/yyyy).